Beechworth Food Co-op is an Australian cooperative success story. 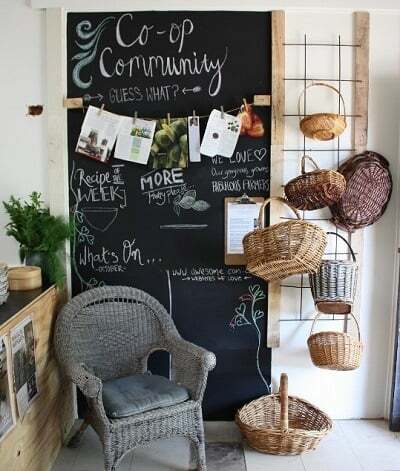 Located in picturesque Beechworth in rural Victoria, the Coop launched three and a half years ago and grew to 800 members within two years. The original purpose of the Coop was to provide a clear path for regional growers to tap into local demand and for consumers to purchase fresh, locally grown produce with minimal ‘food miles’. The Coop, supplied by about 35 growers, has consistently recorded solid sales growth. The challenge was to decide: either to grow to the next level with larger and more sophisticated retail premises; or maintain the status quo. Members and volunteers, supporting the Co-op's retail services. A welcoming shopfront. The Coop is driven by a small band of hard-working volunteers who lacked the time required to objectively analyse the growth opportunities. Farming Together provided expert advisors to help the Coop work through the logistics and financial implications of expanding and moving to larger premises. assistance to identify the priority stages of the Coop’s strategic direction. “The Farming Together Programme is incredibly professional and truly understands what the farming sector is up against. That is so refreshing. We felt we were really understood and we weren’t rushed as we worked our way to the core issues,” Jade Miles, President – Beechworth Food Coop. For now, the Beechworth Food Coop remains in its existing premises as it plans its next steps and sources the funding required to move and fit out a new location. Of particular importance is the need for increased refrigeration capacity which will enable the Coop to store a more diverse range of produce, for longer periods. The Coop also plans to expand its education role ensuring consumers of all ages understand where their food comes from and the key elements required to produce quality food in a natural and ethical way. “This kind of initiative (the Farming Together Program) encourages the government to think outside the bureaucratic paradigm. By clearly focussing on the grass roots, where the heartbeat is strong, this Program has the capacity to make significant, long-lasting and far-reaching impacts,” Jade Miles, President – Beechworth Food Coop.